Now is the time not only to remember, but to look forward. Yes, it is true that we no longer have a living remnant of the old order of Christendom, no Holy Roman Empire to stand firm against the onrushing tides of war. 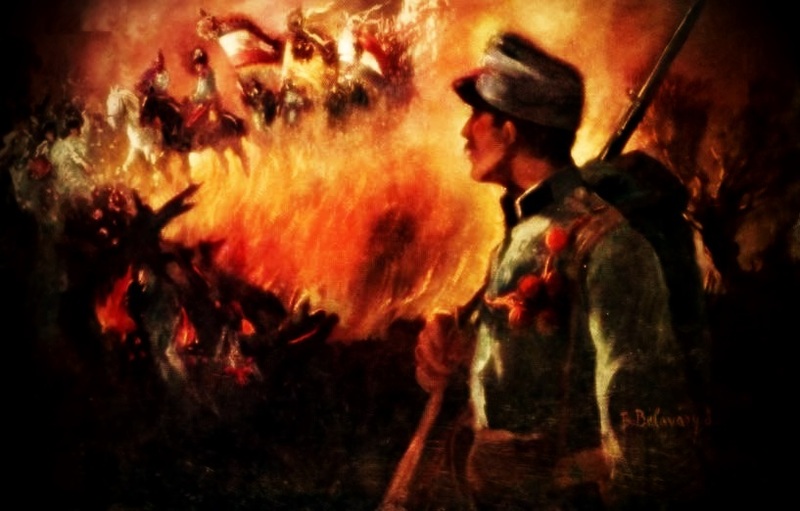 The tattered and starved armies of the last Emperor faded from the fields a hundred years ago after the treacherous armistice of Villa Giusti. Yet if ever in your heart you had the least sympathy for a mankind unified in peace on earth and glory in Heaven consider this: losing the war never stopped these men from living and dying for this cause time and time again. The last Catholic empire was in ruins, its people betrayed by their own “representatives”, flags of blood replaced the red-white-red and sable-gold of older, better days. One young man, named Karl, despite threats to his safety and his very life, refused to surrender the solemn duty of the Imperial Crown. He alone took on the responsibility for peace, as he always had, while the self-proclaimed republic stood by, watching the ruin of their own fatherland. And another, younger man named Karl, refused to give up his allegiance to his Emperor, an allegiance which ultimately cost him his life. If these two great men, and countless others, can still hold to the ideal of a universal Good, what excuse do we have for abandoning it in our own time? Many of the old guard who still remembered the old Austria, the real Austria, died in the fight to end the terrors of nationalism and totalitarianism. Many also lived to see the evils they fought destroyed. If we bow before these resurgent evils, is it not merely because we have lost all the hope and strength that these men bore undying to their deaths? All is not lost, we have more cause for hope than they ever did. A new era is dawning, and the choice is drawing near. Some of us have made the choice to stand firm like the Old Austria and the old Christendom, and face whatever evils this new day will bring. The people are already beginning to see and to fear the future these tides will bring them. We can be the light, we can stand firm in our convictions and ideals, and show them the path that while narrow, leads to salvation. Yes the world we live in desperately needs salvation. It always does, and it is always our part, as Catholics, as Christendom, as Austria to bring the world to her true savior, Our Lord Jesus Christ. I stand here at an empty tomb, like the one which the Holy Women found so long ago. I called this my requiem for Austria, but the truth is Austria is not dead and has never died. Austria lived in Karl, in his son Otto, and in all those who lived and died for her cause. Austria lives today in the new Karl, in his son, and in this very Movement. The fire may lie dormant in her embers, barely sparking to life these past hundred years, but nevertheless this fire still burns. 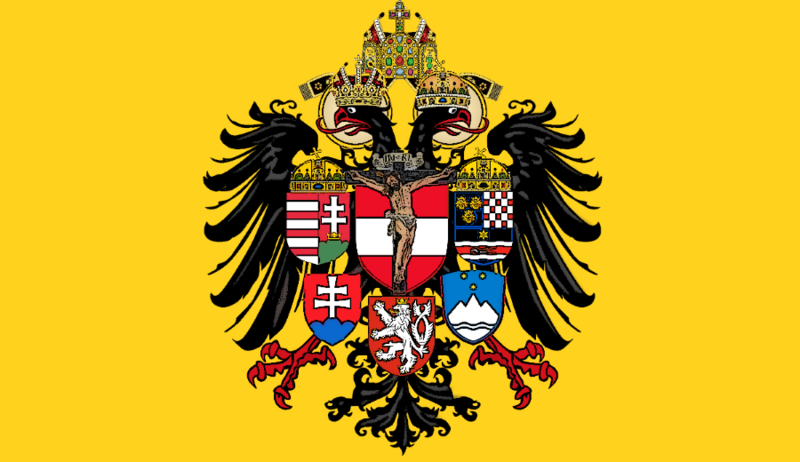 Out of this fire more glorious than any phoenix, radiantly lit by the sun and with a true spirit of nobility, the Eagle of Austria will rise once more. When it will rise I cannot say, but the sacrifices of all those who suffered the terrible years of the downfall of the Old Christendom have laid an unshakable foundation, a foundation which cannot be destroyed. Already the old countries of the Holy Crown are coming back together, and Blessed Karl’s life offered that his peoples be reunited with each other was not offered in vain. We have a chance now to bring the ideals, the principles, and the glories of the Holy Roman Empire to a new age and a new generation. Old Austria lives on in us, and through us she will become new. Long live Austria, long live Christendom, and the future we may yet bring her! The one and only meagre hope: Europe once dominated by the false Empire will be enmeshed in the true Empire. Inspiring post! Thank you for keeping the embers of faith alive. I am boarding the ‘Hapsburg Train’ along with the heroes such as GK Chesterton..
One of the interesting and fascinating things about the mentality of Old Austria, and I think Kuehnelt-Leddihn mentions this himself, is that it’s hierarchical nature did not cause resentment among the various classes of people, but rather the opposite happened. To paraphrase the possible quote by Kuehnelt-Leddihn I am thinking of, the village peasant and the city-dweller did not hate each other, or look down upon one another, but each was proud of who he was. The peasant was proud of being exactly a peasant and not an urbanite, and the urbanite was proud of being an urbanite, and exactly an urbanite. The educated high-class aristocrat was proud of being an educated high-class aristocrat, while the low-class illiterate peasant was proud of being a low-class illiterate peasant. Each was proud not only of his strengths but in some sense even also of his weaknesses, since God did not create all people equal and did not give all equal gifts. Would the above statements accurately describe the diversity and liberty loving mentality of the Old Austrian monarchy? Would the peasant actually be proud of being the lowest precisely because his lower estate is a part of his identity according to Divine Providence? Would the lower class enjoy and be proud of it’s lowness, and the high class enjoy and be proud of it’s highness? Or is my memory of Leddihn supporting the above incorrect? Yes,you are correct, although instead of framing it in terms of lowness and highness, it’s much more structures of parallel hierarchies (although to be fair, low and high provide convenient terms for us to talk about this society). This is also the idea at the very heart of the Catholic Corporatism of the Dollfuss regime, itself an attempted to bring the Old Austria back into the world’s consciousness. If that is the case, then it isn’t just lowness or highness when it comes to society that the Austrian mentality is important for and has consequences to, then. The practical application of a mentality of diversity and liberty also undercuts any possible foundation for jealousy and envy, as well as low self-valuing on the basis of not having certain gifts and talents. One part of the Old Austrian mentality is that each person is unique, and that everyone has both strengths and weaknesses that are complemented by people of opposite strengths and weaknesses. Another part of this mentality then is that a diversity of gifts and talents is also good. How monotonous and bland would society be if everyone had the same degree of intelligence, the same talents and abilities, the same propensities and preferences and inclinations? A diversity of abilities and excellencies is good precisely because it is good to have differences in ability and therefore differences in vocation and differences in how individuals go through life. And what you said about it being better to not frame these differences in terms of lowness or highness (worse or better) is also very important for this. Having lower intelligence, not being inclined to creativity or abstraction or higher learning is not therefore seen as something which lowers the value of the peasant (especially since the peasant, being made in the image of God, has equal worth and value as all other human beings), but something unique to him, something good precisely because it is an example of diversity and precisely because it is what it is supposed to be, namely a lower but legitimate degree of excellence. This explains why accepting the proper Austrian mindset thereby calls upon everyone to be proud of who they are, as they are, precisely because they are what they are. 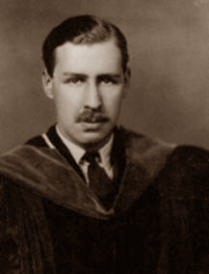 The order of reality, and indeed the very core of Christianity itself, is that one should not only refuse to sorrow over who they are and therefore NOT desire to be different (even though one may admire the talents of one’s neighbor and in some sense aspire to them or think that having them would be good, though not to the point of despising oneself and wishing one was different), not merely to accept oneself stoically in a cold and indifferent fashion, but to positively delight in one’s personal identity; to take joy and be proud of one’s station in life and enjoy being who one is, who God created you to be. Such a wonderful joy-filled mentality is also the beginning and source of the virtue of patriotism and pietas. It’s a strange thing to see the old country from an American perspective… The anglosphere has no real connection to Central europe or the Habsburg monarchy. The only thing the American child knows of old Austria is that one dead Franz Ferdinand led to one World War that didn’t matter as much as the second one. What a poverty of knowledge that is. My ancestors in Gottschee (German enclave in Lower Slovenia) and Szekelyfold must look upon the current world with horror. God-willing, the spirit of Holy Rome may yet find itself in Austria and Hungary again.